Ikea and Sonos have combined forces and made the ultimate speaker lamp. 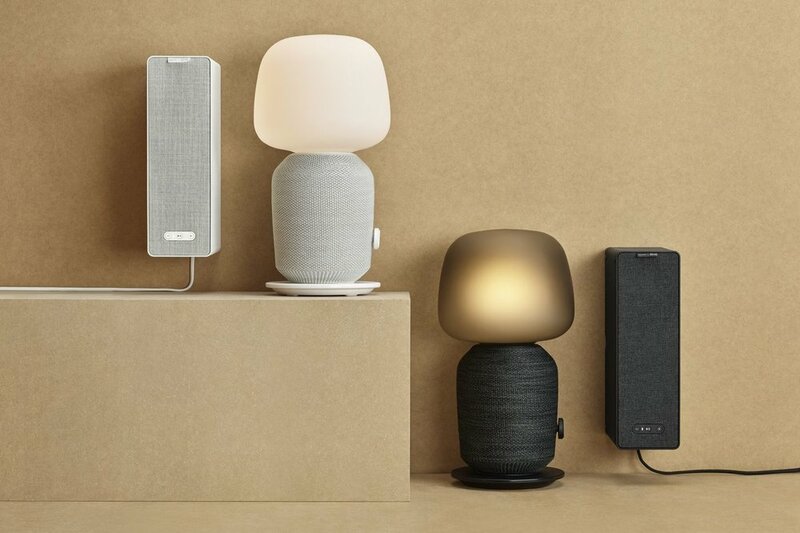 Yes it’s true, We knew that Sonos had teamed up with IKEA to offer SONOS Music Systems through a range of IKEA Branded speakers which work within the Sonos ecosystem but they’ve done something more. Sonos and Ikea have unveiled a pair of speaker designs that the two companies have been working on for a while, the first one up is a bit of a surprise to most in the industry though. First up the the Symfonisk table lamp ($179) which elegantly combines a desk / table lamp with a Sonos speaker, with a dial to control the light - though you will have to buy a Smart Bulb yourself if you want it controlled with lighting control or home automation. The next up is the normal bookshelf speaker ($99) which was well known to be coming. Both will ship this August, although you will have to wait to see if that’s the case in the Bangkok, Thailand based IKEA’s. Each of the new speakers can also be fully integrated as part of a multiroom audio setup for your home. It’s obvious that both companies are very proud of what they’ve put out together, the price point is certainly very compelling and perhaps with the competition from Amazon and Google in mind, it might just be a masterful move. Sonos CEO Patrick Spence suggested that the lamp’s audio performance should be similar to — if maybe a rung or two below — that of the $199 Sonos One. It has a dial on the lamp body to control the light, and there are track control buttons on the base plate portion..
Block said that, eventually, IKEA’s smart home app will integrate music controls for the speakers, allowing customers to build scenes that factor in the lamp. IKEA have recently launched a range of smart blinds in addition to their growing range of Zigbee controlled Bulbs (That are Philips Hue compatible, sort of). The symonfisk bookshelf speaker from IKEA is the smallest speaker that Sonos has ever made so expect it to pack a slightly smaller punch than say the Sonos PLAY1 or ONE. Patrick expressed confidence that both speakers will sound better than anything else at their respective price points. Both the lamp and bookshelf speakers are complete members of the Sonos ecosystem. So you will be able to join them into your existing multi room setup, use them to add new zones, rooms or areas to your current setup and even pair them as rears for your surround 5.1 setup. We’re very excited to see that high quality whole home audio may be coming to the masses, it’s not going to sound anywhere near as good as with a Sonos amp and standalone in-ceiling, in-wall, outdoor or bookshelf speakers but for smaller areas, kids rooms, the gym or kitchen - they might just be perfect.